I'm putting together a Phytoplankton culture stater kit for anyone that's interested in growing/culturing their own phytoplankton. It will include a 2 liter bottle half full of my Tetraselmis Phytoplankton, air pump, 3/16" ridged tubing, air line, air line splitter, light with bulb that I use to grow, timer, 4oz of Florida aquafarms f/2 fertilizer, a measuring syringe. I will include my cell phone number as well for any questions or concerns you may have along the way. 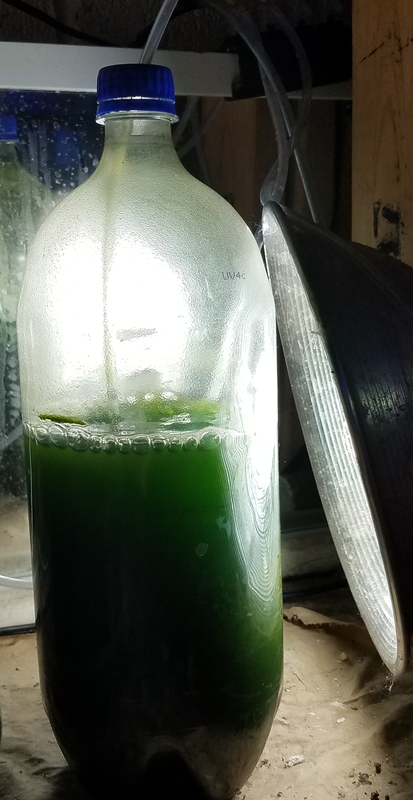 I've been culturing phytoplankton for 2 years and 10 months now, although it's not difficult, there is a lot of things I've learned along the way and would be happy to share!